she can busy herself with her pails and shovels. Cocktails, ice cold beers, seafood, a hot grill, and (of course) great company were also on the agenda. six lemons (preferred cocktail…also very important! ), and these brownies. Take them wherever you want a repeat invitation! is how you will pull the brownies out later). – In a medium saucepan over low heat, melt the butter. Add the chocolate and stir by hand until it is melted and smooth. flour and stir energetically for one full minute. Yes, this is important so time yourself. smooth and glossy, and pull away a bit from the sides of the saucepan. After that, stir in the chopped nuts. it an extra window of time to cool out of the pan as well (it’s the tropics after all!). Cut the brownie into squares. wonderful brownie recipe to see me through the rain. This looks wonderful! I love how short the ingredient list is! I make a decent chocolate brownie (http://saltedspoon.blogspot.com/2012/01/dark-chocolate-brownies-and-nemesis.html), but this one looks much more decadent. I'll be sure to give this recipe a whirl! Is it all right to assume that your little C started to like chocolates/sweets already? I just remembered cos there's this new 1 1/2 y.o. boy who drops by our house (my cousin's inaanak) sometimes who doesn't like candies/ sweets at all, he goes, "ayaw. ayaw." But offer him rice and such and he'd go (super excited tome) "wow! mommy kain! " Hottest summer on record? Well, it must have been really sizzling! Anyway, who's Robert on the brownie recipe title? (LOL). I trust David Lebovitz. So if he said to stir vigorously for the prescribed amount of time, I will do exactly that! Thanks for sharing the recipe. Don't let it sit in your vault next time! Heehee, just kidding! They look delicious! 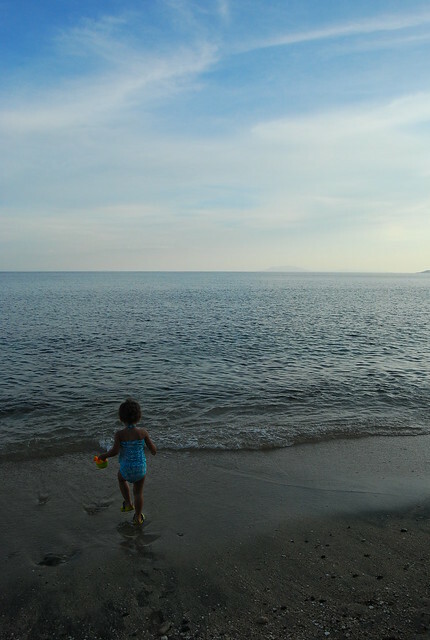 I love the photo of the little one running towards the water. 🙂 Keep trying to stay cool in the hot weather. I think this may be the same recipe my sister has uses. I recall that she once tried three supposedly "best" brownie recipes, and we all agreed that this one "took the cake." It's now her go-to brownie recipe. Ooh! Brownies and gin-and-tonics sound like the perfect combination for kissing summer goodbye. Your little girl looks adorable in her beachwear! I trust David L. with every recipe so these are a must-try! They're so gorgeous! I mean both little C and the brownies. You can actually make them with no fancy ingredients? Looks great! I can't wait to give this one a try. Great post! Hi Redd H! Thanks for sharing your brownie recipe 🙂 I love how simple this is too! Hi Jen! That's what a friend of mine told me! Robert here is the late Robert Steinberg, who co-founded Scharffen Berger chocolate. Enjoy the brownies! Hi Katrina! If your sister uses it then I know I am in good company 🙂 Although I will miss the summer I am looking forward to making nilaga and tinola, stews and braises, and all the "rainy day" food I love to cook! Thanks Mikel! 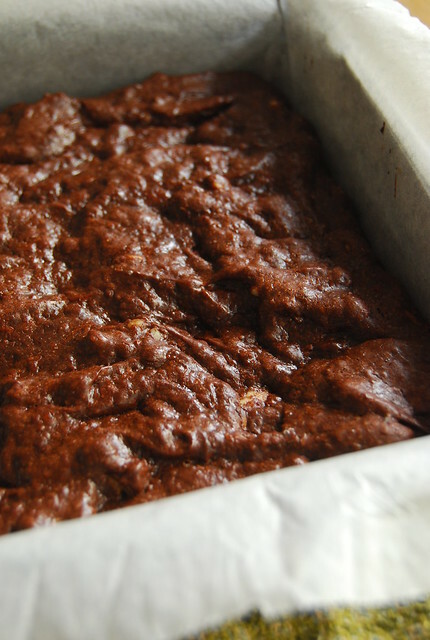 Yes, this is all it takes for luscious brownies! O you're so right to enjoy the sunshine while it lasts! In hoping we will get some sunshine too but it's not looking promising really. Love your brownies! Woohoo! Sounds like you had a fab summer.Lovely food on the beach. Thanks for the brownie recipe, I think this one I will try. Been getting bombed with chocolate recipes. I'm a young Chef, please come see my blog and talk about it to your friends. I blog cuisine world's news, pics and recipes ! Hi Simone! These brownies are really good! Hope you get some sunshine soon! Hi Shalum! Give this a try…it is simple but yields such great results 🙂 Hope you enjoy it! Wow, will definitely try making these tonight. Can almost taste them now 🙂 Thanks! These brownies look absolutely perfect! Hi Marcus! Hope you like them! Hi Chocolate Shavings! They are delicious 🙂 I am so glad to have chanced on the recipe! This brownie recipe is amazing.It is very delicious! If you submitted your absolute best brownies photos to http://www.foodporn.net , I'll bet they will make you on the home page. id love to try this one!